Download Labor’s 2019 Legislative Agenda and the below Fact Sheets (PDF): There is a lot of talk about how technology will build a future where workers are obsolete. But in today’s economy, far too many workers are already treated as disposable. California is home to rising income inequality and a disappearing middle class. Millions of workers are forced to scrape by on multiple part-time jobs, gig jobs, temp jobs, and independent contracting. The number of workers in unions continues to decline. Not only do most workers have no retirement security, but 40% do not earn enough to cover basic necessities. AB 5 (Gonzalez): Disrupt Inequality and Rebuild Middle Class – Codify Dynamex Decision to Expand Workers’ Rights. Misclassification of workers has been a driver of income inequality, declining union density, and diminishing worker power. Millions of workers misclassified as contractors could have employment status restored by this court decision. We will codify this decision and use it to rebuild the middle class. AB 485 (Medina): Invest in Good Jobs – Require Transparency & Accountability for Local Subsidies to Distribution Centers. Any company seeking local taxpayer subsidies must disclose the number and quality of jobs it will create and will have to report annually in public meetings for accountability of public funds. SB 336 (Dodd): Future of Work – Stop Worker Displacement from Automation. Public funds should never be used to displace workers, endanger passengers, or jeopardize public safety. This bill will require that any fully-automated public transit vehicle always has a transit employee on board while in operation. AB 51 (Gonzalez): Access to Justice – Stop Forced Arbitration of Workers’ Rights. The laws we have passed on wage theft, harassment, and discrimination are meaningless if they cannot be enforced. We will prohibit employers from requiring workers to sign away their rights as a condition of employment. AB 731 (Kalra) & AB 1611 (Chiu): Make Health Care Affordable – Control Rising Costs. Increasing health care costs are squeezing California families like never before. We must drive down high health care prices that burden workers and employers. These bills will expand existing rate review for health plans and will cap the rates hospitals can charge for out-of-network emergency room services while also prohibiting surprise billing of patients. AB 1505 (O’Donnell): Charter School Accountability – Strengthen Petition Process to Protect All Students. All children deserve a quality education and charter schools should be accountable to their communities. This bill will strengthen the approval process so communities have a voice and the best interests of all students are considered. AB 1066 (Gonzalez): Support Striking Workers – Eligibility for Unemployment Benefits for Strikes & Lockouts. Workers locked out or on strike must keep paying bills and providing for their families. This bill will allow them to access UI benefits during a prolonged strike or on any lockout. 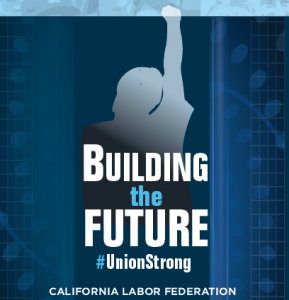 AB 418 (Kalra): Stronger Unions – Protect Confidential Communication. When union members confide sensitive information to their union representative, they have every expectation that the conversation will remain private. This bill will ensure that confidential communications shared with a union representative remain privileged and confidential. AB 1124 (Maienschein): Worker Safety During Wildfires – Clear Rules to Protect Workers from Toxic Smoke. As climate change increases the threat from devastating wildfires, workers in these zones must be protected from exposure to harmful toxins. We will direct Cal/ OSHA to develop a standard to clarify the obligations on employers to protect outdoor workers from toxins due to wildfires. Housing as Essential Infrastructure – Build Housing & Good Jobs for Workers. Many working families struggle with skyrocketing housing prices and rent while wages remain stagnant or decline. The State must invest in housing and, as with all infrastructure investments, we must use this opportunity to create good, good-paying union jobs and apprenticeship opportunities for communities across the state. Every good job we create in housing construction means one less family forced to rely on housing subsidies. We should also prioritize affordable housing, transitoriented development, and enact tenant protections to prevent displacement. We can only solve the housing crisis by addressing inequality. The answer is more affordable housing and more good union jobs.